Welcome to the IBS School of Cosmetology and Massage. IBS has been a pioneer in the competency format of education and provides competency programs in cosmetology. We prepare our students to excel in this field by offering courses in hair design, esthetics, nail technology, barbering and massage. IBS partners with industry leaders to provide the best possible environment to excel in cosmetology. The hair design program partners with Chi, TIGI and Framesi, the nail design program partners with OPI and the esthetics program partners with MAC, Dermalogica, Youngblood and Bombshell. 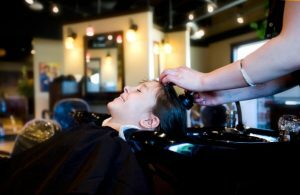 The combination of the facilities, instruction and vendors set standards that are intended to put student on par with contemporary high end salons. Our campus has both full and part time massage programs. It is possible to move through the curriculum as well as the hours required to qualify to sit both the State and National exams in approximately 6 months for the full time program while the part time program will vary depending on whether there are weekday hours combined with the classes held on Saturdays. Additionally, there is an operating massage clinic that permits valuable experience with the application of theory in a clinic setting. The focus of the program is intended to provide students with hands on experience with massage techniques and clinical practices that will prepare graduates for work.